Read the full series of fact sheets here. 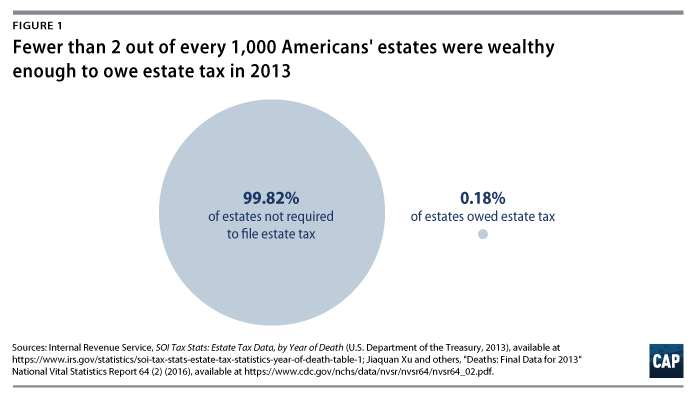 Repealing the estate tax, then, would mean that a huge amount of wealth would never be taxed. Successive generations could avoid any tax at all on the ever-increasing value of their assets, so long as they never sold them. This contrasts with average working Americans whose wages have stagnated since 2000, who hold precious few assets, and who pay taxes every year on the money they earn. Opponents of the estate tax, including House Speaker Paul Ryan (R-WI), repeatedly claim that it threatens small businesses and family farms.10 However, these claims do not match reality. 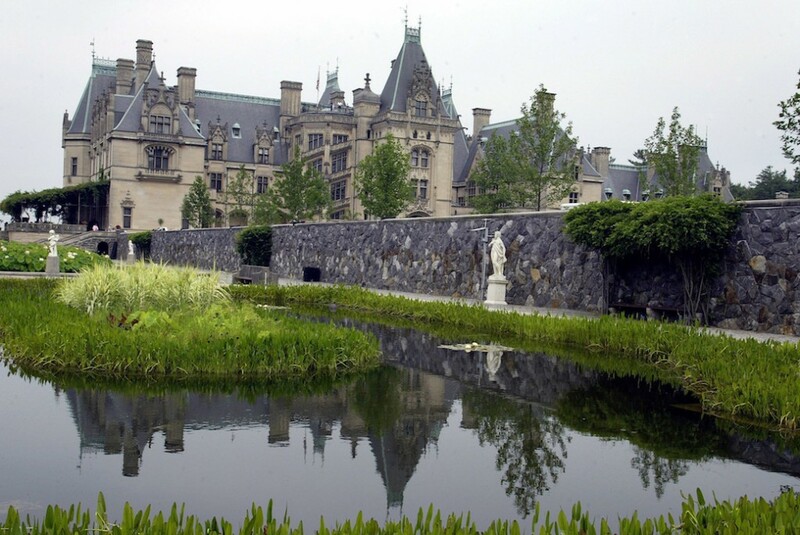 According to the Tax Policy Center, only 50 small businesses and small farm estates in the entire country will owe any estate tax in 2017,13 and they will pay an average tax rate of just 5.9 percent.14 The U.S. Department of Agriculture has estimated that only 0.4 percent of all farm estates of any size would owe estate taxes in 2016—about 1 in every 250 farms. One useful point of context for how important estate tax revenues are is how many people’s federal nutrition benefits that amount of revenue can pay for. While estate tax revenue does not actually pay for nutrition benefits—it goes into the government’s general fund—the comparison is still useful. By 2018, the estate tax would raise enough revenue to pay for nutrition benefits for more than 17 million people. Trump administration officials have reportedly urged members of Congress to support repealing the estate tax by falsely suggesting that no one actually pays it because of the prevalence of loopholes.17 While there are major loopholes in the estate tax, it is still paid by the roughly 5,000 wealthiest Americans who die each year. Rather than repealing the estate tax, Congress should close the loopholes that allow the wealthiest Americans to avoid paying it or to reduce what they owe. For example, Congress should restrict the use of Grantor Retained Annuity Trusts, a sophisticated legal strategy to remove the value of assets from one’s estate while still maintaining control over them.18 While the Obama administration proposed rules to restrict the use of another maneuver, called valuation discounts, in 2016,19 the Trump administration is considering stopping the rules from going into effect. If the administration does take this action, Congress should codify them. Seth Hanlon is a senior fellow at the Center for American Progress. Alexandra Thornton is the senior director of Tax Policy for Economic Policy at the Center.